I’m a big fan of narrative play. I also have a certain amount of nostalgia for the narrative campaign packs that Games Workshop created for Warhammer Fantasy in the early 90s, which included Circle of Blood (Vampire Counts vs Bretonnia), Idol of Gork (Orcs & Goblins vs Empire) and various others. Sadly I never had the chance to play any of these campaign packs myself, but I loved the larger than life characters, the evocative artwork and the gripping stories (not to mention the fantastic card scenery!). I especially loved the idea that someone playing through these campaigns could feel like they were reenacting a key moment in the history of the Warhammer world. In many ways we’ve come a very long way since then. 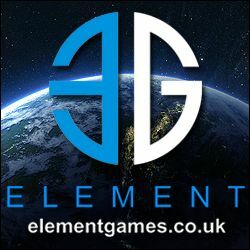 Narrative play is now widely recognised as one of the cornerstones of Age of Sigmar, and narrative events such as Realms at War have seen a huge surge in popularity. But nothing has really come along to replace those early campaign packs. The Realmgate Wars campaign books were great, but they had a sweeping scope and a vast canvas that meant no single event or engagement ever felt truly fleshed out. Season of War: Firestorm came closer and, while it’s still a great product and a fantastic early example of more detailed world-building in Age of Sigmar, it nevertheless concerns itself more with providing the structure and mechanics for a campaign, rather than on creating an immersive narrative experience. It was this desire for a more focused, immersive and exciting narrative play experience that got me thinking about creating a campaign pack of my own, inspired by those early forebears in Warhammer Fantasy but specially tailored for the Age of Sigmar game and setting. I was also keen to theme it around the Beasts of Chaos and focus on Skirmish-sized forces, as I’ve just started collecting this army myself. I want to be able to enjoy this campaign pack too! Provide a compelling narrative play experience that makes players feel like they’re part of an unfolding story. Give new Beasts of Chaos collectors a fun way to get a flavour of the faction’s allegiance abilities in Skirmish level games. Ensure that the opposing player doesn’t just feel like they’re there to support the Beasts of Chaos player’s experience - give both players interesting things to do. Development of the campaign pack is well underway. I’ve already roughly sketched out the battleplans and the experience system, and I’m currently deep into writing the story - both in terms of the background that sets the stage for the campaign, and how that story will develop as the campaign unfolds. There are three more project diaries coming in the weeks ahead, which will focus in more detail on the story, the experience system and the battleplans. 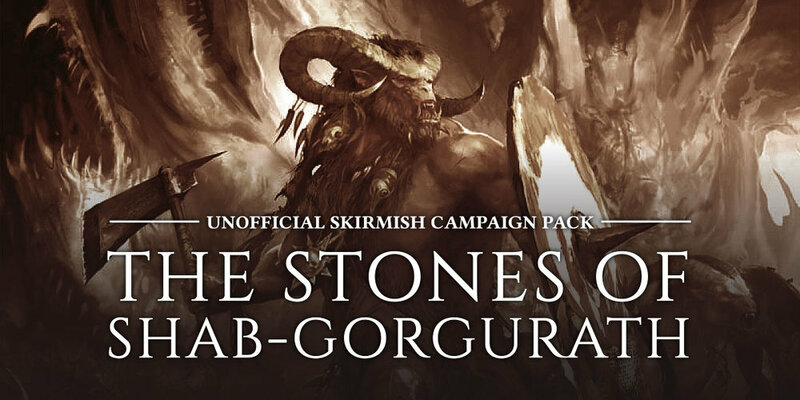 I don’t yet have a firm release date for The Stones of Shab-Gorgurath, but I’ll be sure to keep you posted - stay tuned to this website and my social media channels for the latest updates.